The cries of the lost and alone, the suffocating darkness, the crippling fear and the great brilliance of that hidden world below... all these things, these beautiful, terrifying things have been captured in the music of ORO, and their debut album, Djupets Kall. ORO was born beneath the Kilsbergen mountains, in the shadows of the deep forests in 2014 and in the brief years of their existence they have created a sound like no other. A towering, crushing force is mixed with intense intimacy and the fact that the band choose to sing in their own language, allowing them to speak purely from the heart, only adds to the grim beauty of these stunningly powerful songs. 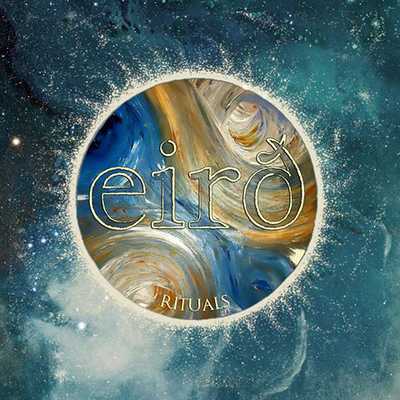 ORO means anxiety and unrest and those feelings run through this album like a black stream, but between the towering riffs of agonized doom and overwhelming sludge there are passages of sublime beauty. Within songs like the mountainous ‘Järtecken’ whole worlds of complex emotion open up before you. There will be hundreds of albums released in 2019, but very few of them will possess the power, the emotional intensity, the ability to capture and consume the listener of Djupets Kall. Albums like this are why heavy music continues to thrill and touch the hearts of those who need more than just bland entertainment. So be ready for March 1st, when Endless Winter will release the majesty of Djupets Kall, because ORO will take you to dark places, unravel your nerves and expose your pain — and nothing could be more rewarding. 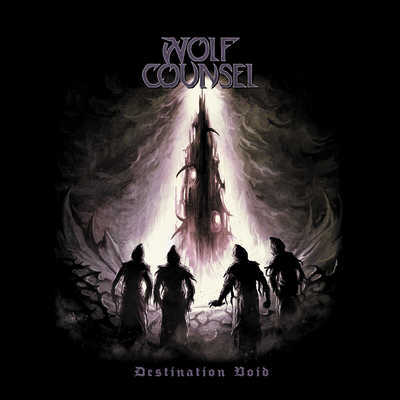 Traditional Doom Metal band Wolf Counsel from Switzerland will release the band’s new and 4th album „Destination Void“ 22 February 2019. Wolf Counsel consists of four veteran musicians that played, toured and recorded with various bands for nearly 30 years. „Destination Void“ will have an even more traditional approach to Doom Metal than their older efforts. Dominant drums, harmonic eerie riffing and haunting melodies will mark the evolving process of this band that will reminisce listeners to all the forefathers of heavy Doom Metal but adding very personal signature trademarks and a very dark voice leading that runs like a common thread throughout this new full-length album. More news, audio and video announcement will be coming up soon. The album in atmosoheric doom metal style will release on December 21. Catania is an ancient port city on the east coast of the island of Sicily. Fordomth was born in 2013 here, by the joining of six members already active in the extreme music scene. In June 2015 the studio production of ‘I.N.D.N.S.L.E. - In Nomine Dei Nostri Satanas Luciferi Excelsi’ begun, resulting in a Black Funeral Doom Metal full-length concept album inspired by such bands as Ahab, Evoken, Longing for Dawn, Catacombs, Nortt. This first work is a concept album based on the theme of the eternal damnation and it’s developed is under the satanic perspective of it. Album will released Nov, 10. 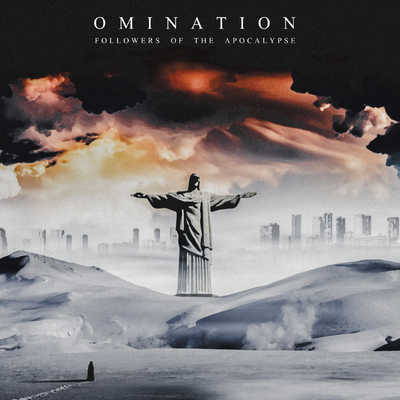 — The overall thinking and art direction for Omination is based on the fact that even though everything in this world are cycles, there is always in my humble opinion a cycle of “creation” and “destruction”, therefore, in the human perception we are all aware of beginnings and ends. — Omination is about what is coming after any end: a new beginning. It’s omens of the harsh future that awaits everyone whose closing a cycle to enter in a new one. For instance, the death of a close one. This is why I use the “post-apocalypse” term and a post apocalyptic imagery/atmosphere in my writings and so forth. Starting the new beginning is harsh. — Followers of the Apocalypse is an image, an image of people who believe that the apocalypse in every way is a solution to start a new and clean cycle. Globally in this album I'm criticizing the fact that today, our society/civilizations are doing nothing good and therefore it should be wiped out, but behind these words, I speak about my own personal experience I lived after the loss of someone very close to me. 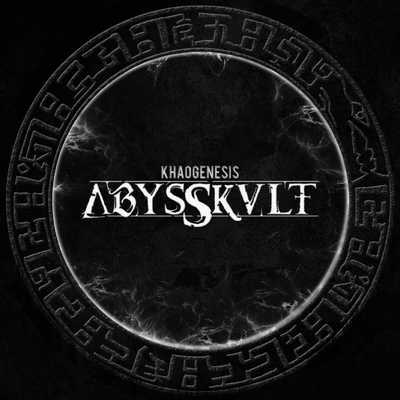 ABYSSKVLT returns from the abyss in August 2018, on the first day of increscent Moon, and brings us a new album, Khaogenesis, dedicated to the Darkness, which is in the nature of all things. This blend of heavy chthonic guitar sound and cold Tibetan ethnics will serve you as a background for going into trance. And low male growling, chorals, Tibetan throat singing and Zhang-Zhung mantras performed by guest Terra Teratos will guide you on your way to the Inner Abyss. 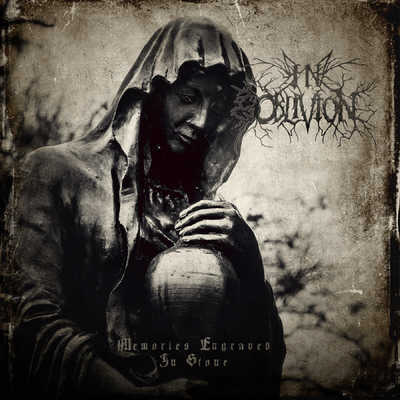 Texas' In Oblivion solemnly marched onto the funeral doom scene in 2015 with their self-titled EP, and have returned to present their debut full-length, "Memories Engraved in Stone", will released 07/01. The hour-long opus contains four songs of misery, sorrow, woe, and mourning that craft an atmosphere that is sure to drag even the most jubilant listener into the depths of desolation. The album was recorded over a period of over two years and was produced by AMP Studios maestro Michael Day (Vex, Whore of Bethlehem), causing In Oblivion's sound to be taken to the next level of aural grief. "Memories Engraved in Stone" is an immersive composition containing wailing guitars, regal keyboards, and crashing percussion that demands a listener's full attention. 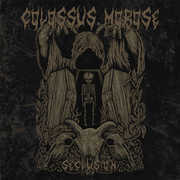 The debut album from international duo Colossus Morose will be released the 1st of June. In 2015, inspired by the north-Norwegian winter, C.J. decided to express his dark side of his thoughts and feelings by creating musical landscapes full of darkness, aggression and oppressive emptiness. The collaboration with J.C. on vocals resulted in six epic funeral death doom metal songs. 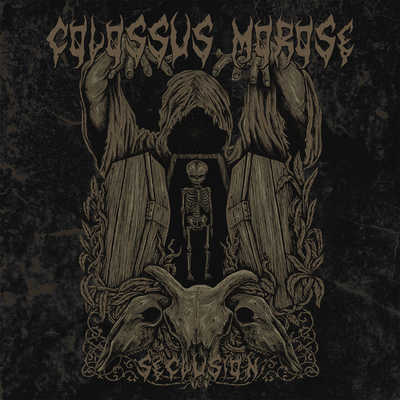 “Seclusion” is the first release by Colossus Morose and was recorded and mixed in northern Norway and mastered in Germany between winter 2016 and spring 2018. On May 25th, 2018 a debut album of a Ukrainian project Fretting Obscurity is released. 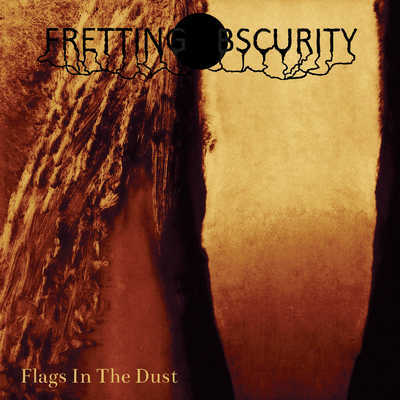 The album is titled Flags in the dust. Emotions and messages conveyed by Fretting Obscurity are based on philosophical existentialism and the works of Jean-Paul Sartre. The title of the project speaks of fundamental unknowableness and hostility of the physical realm. 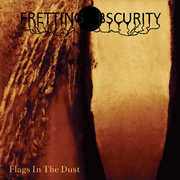 The image used in the title of the album - flags in the dust - was borrowed from William Faulkner. It is a symbol of formally announced ethical values that are not observed in practice in the era of bigotry, consumption and torpor. 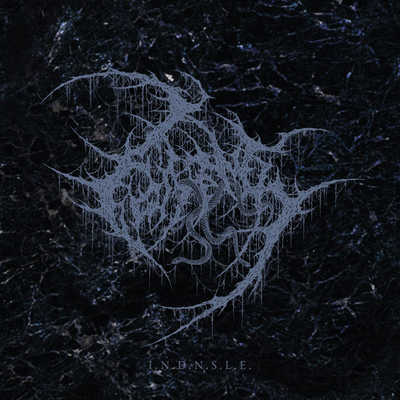 As for the music itself, the style of the project was shaped by a 'three-guitar canon' as represented by Mournful Congregation and tends towards the use of multiple layers with occasional heavy passages and doom-death riffs.